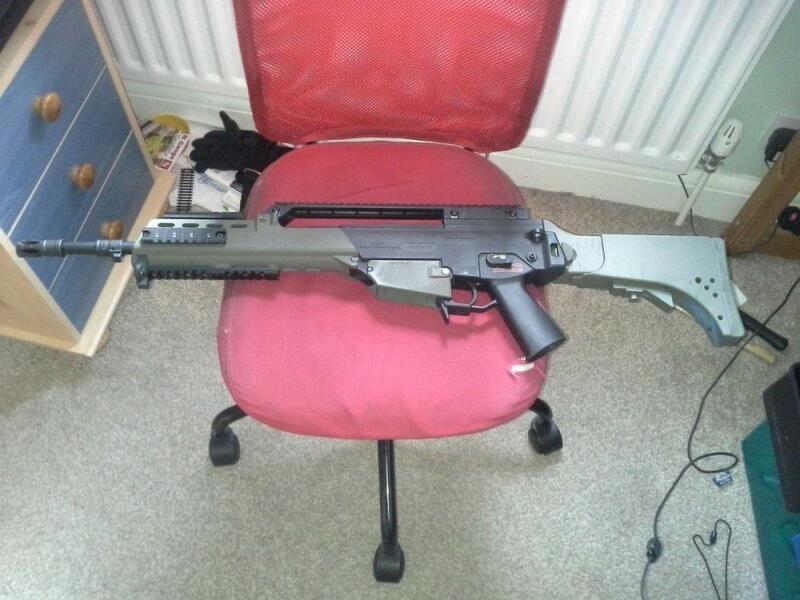 right here i am wanting to upgrade my G36kv and I want an appropriate length tight bore inner barrel and a better hop up unit/ rubber what will in need to fit the src g36kv? I'm doing an SRC G36KV build at the moment too. I'm planning on a 455mm TBB, so I can swap it into my AK at some point, should I want to change things about. I haven't taken the barrel out of mine to measure it, but measuring from the hop tube to the flash hider, I think the inner barrel is 420mm now, but my build plan involves replacing the entire outer barrel with a suppressor. The suppressor will need to be 200mm to just cover a 455mm inner barrel, but I want a slightly longer one so you cant see the inner barrel at all. I'm waiting for the RIS I bought t'other day to arrive so I can measure how wide the suppressor can be. I'm hoping for 45mm diameter: fatter is better, as the actress said to the bishop. Is yours a Gen III, Adam? I ask because the hop unit seems fine on mine. Dunno about the rubber yet. I've only been able to fire it out of my back window over rooftops so far and it's been so windy that I can't get any reliable idea how it's behaving.